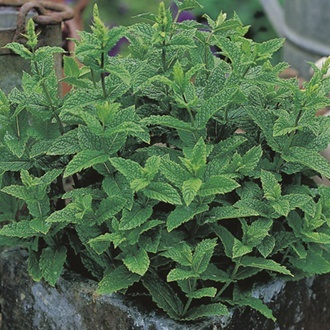 The traditional garden mint, essential for making the quintessential mint sauce. One of the easiest herbs to grow, it has a tendency to take over if left unchecked but does smell wonderful and is a herb garden essential. The leaves can be used to make a delicate mint tea.